Conservation Biology, the most influential scientific journal in its field, has invited His Holiness the 17th Gyalwang Karmapa to contribute an article outlining his vision of “Environmental Buddhism.” Entitled “Walking the Path of Environmental Buddhism through Compassion and Emptiness,” the article explores His Holiness’ personal reasons for becoming an environmentalist, offers a masterful explanation of the overlap between Buddhist philosophy and environmental ideology, and ends with a call to action to protect the environment. The article goes on to present Buddhist concepts of compassion and emptiness as they relate to environmental activism. It suggests ways they could serve to support the journal’s mainly scientific readers in their own work to conserve the biological diversity of our planet. The article can be read in full online. It can also be downloaded here as a PDF from www.khoryug.com, the website devoted to His Holiness’ environmental protection programmes. The Gyalwang Karmapa was invited to contribute this article for inclusion in this distinguished journal’s 25th-anniversary edition. A highly respected and widely cited journal, Conservation Biology publishes groundbreaking papers and is instrumental in defining the key issues contributing to the science and practice of conserving Earth’s biological diversity. 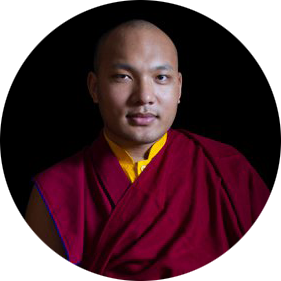 The invitation to contribute to the journal’s 25th edition was extended to His Holiness the Karmapa in recognition of his role as young religious leader with a global reach who can not only influence and inspire others, but who has also demonstrated his own commitment to take action on environmental issues.